Take a Squizz at This! Planning a trip to Gold Coast, Australia? 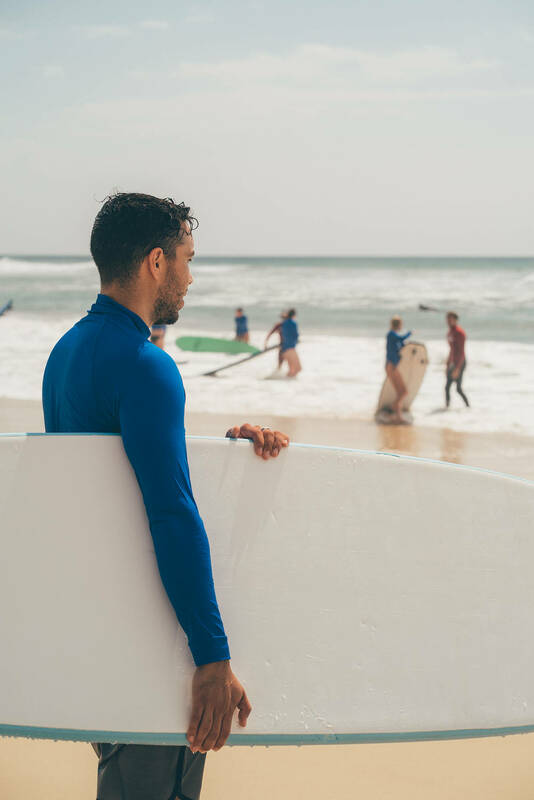 These top 10 things to do in and around the Gold Coast cannot be missed. Siya and I spent 10 days in the land down under and were surprised as to how many awesome things we were able to get up to in this time. 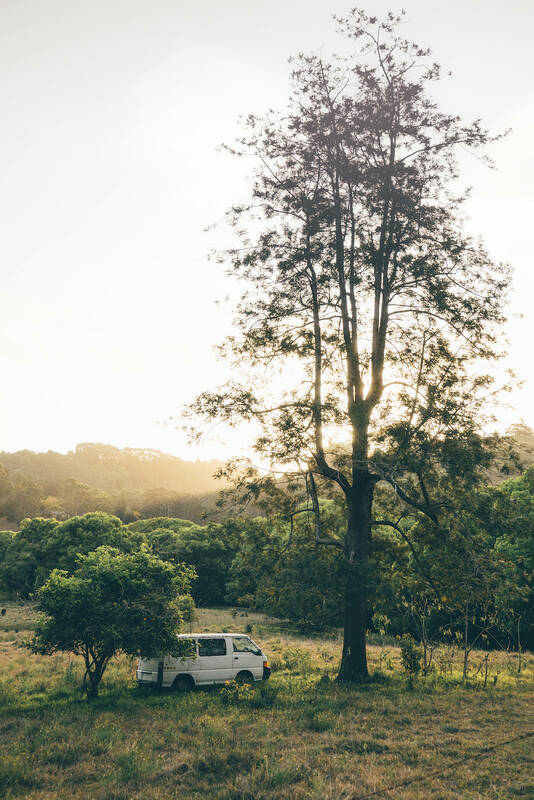 We knew that the Gold Coast would be great for surfing and beach life, but there's much more that this area in Australia has to offer. Since the beginning of my travels, I’ve been a fan of hostels. The community that they are built on cannot be found in hotels or guest-houses. For me, the people I meet during my travels are what MAKE my experience, and I've met some of my greatest friends at hostels. Not only do they provide an opportunity to meet other travellers but they are also affordable for all budgets. 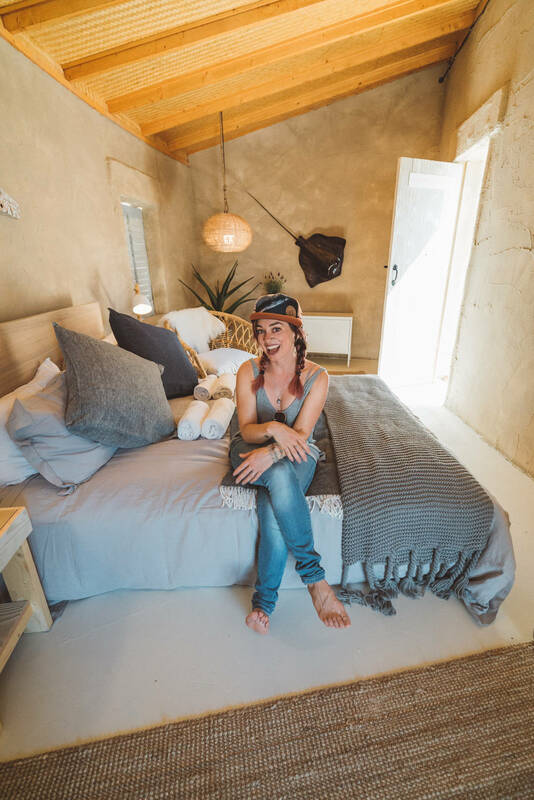 There’s this presumption that hostels are only for the younger backpacker, but this is far from the truth. I’ve met all walks of life in hostels including a 70-year old couple and family with small children. Most of the coolest and unique accommodations I’ve stayed in around the world have been hostels including the Sand Hostel in Surfer’s Paradise. 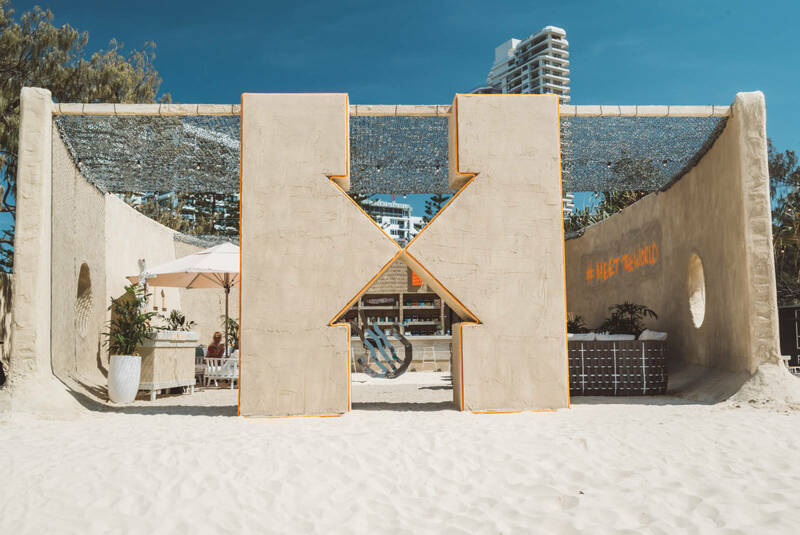 Although this was just a pop-up, there are many other awesome hostels around the area worth checking out on Hostelworld out such as: BUNK Surfers Paradise or Backpackers in Paradise. What better way to explore a new place than on the open road, with no set schedule and an island of possibilities. Whether you want to rent a Lamborghini or a Renault , there are many rental companies on the Gold Coast to choose from. I’d suggest shopping around, as prices are competitive. After comparing three different companies, Siya and I ended up renting a 2016 Renault from Enterprise in Surfers Paradise. We had planned our destination ahead of time, but took our time getting there, stopping wherever our hearts desired. That’s the beauty of road tripping in a new country, the freedom it gives you to venture off on your own and explore at your own pace. 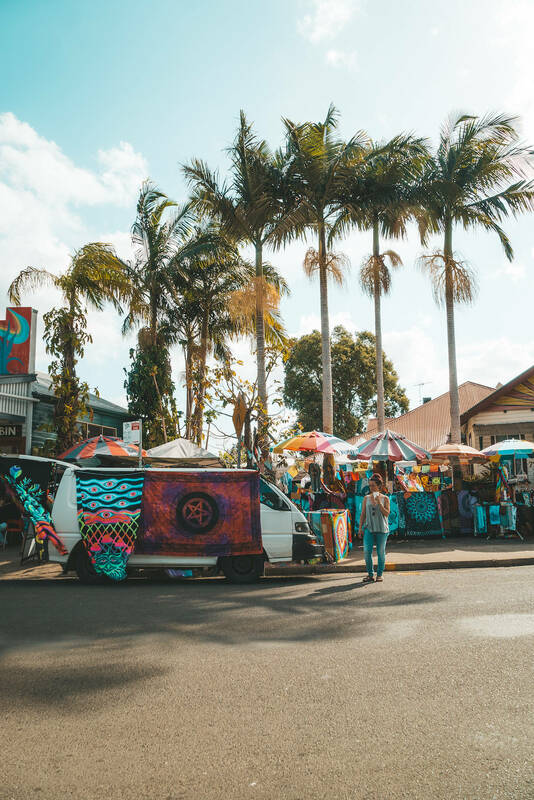 We drove from Surfers Paradise to a place called Nimbin (which you'll learn more about below), driving through several National Parks along the way. 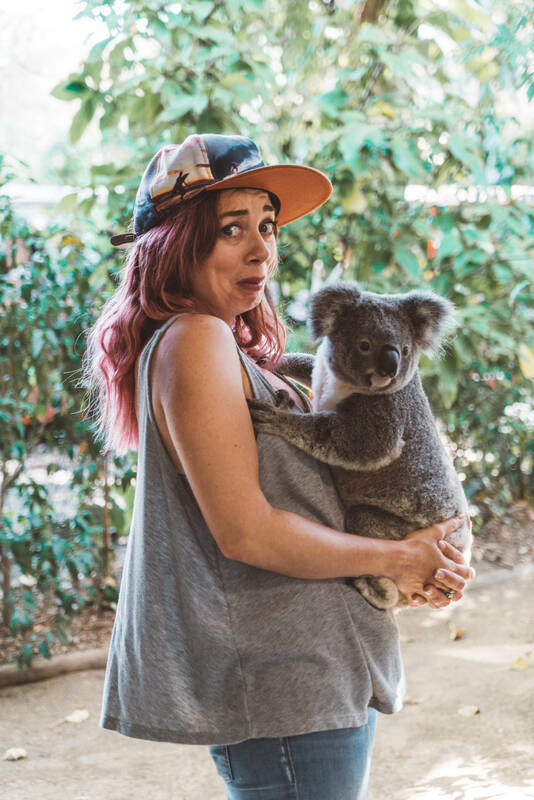 Holding a Koala in Australia is one of the first things people want to do when visiting the country. Before interacting with any type of animal, I'd suggest doing your research first. Before deciding on visiting Currumbin Wildlife Sanctuary, I did my research. 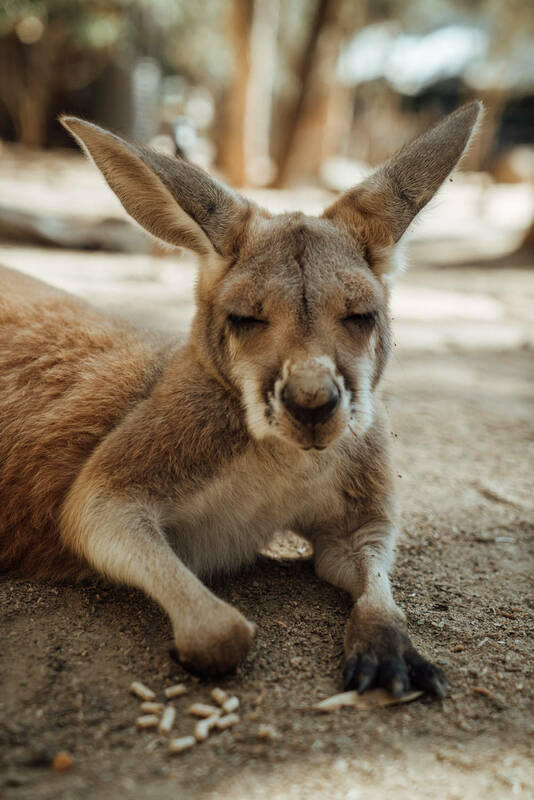 Currumbin isn’t just a place to hold koalas, it’s a sanctuary for injured animals to heal and be rehabilitated. The place even has on an on-sight hospital where Siya and I witnessed an injured Lorikeet being operated on. At the sanctuary, I spoke with the lady, who you'll see in the video, about the koalas personality and how they respond to being held. This lady works day in an out with these rescued koalas and knows them very well. The lady assured me that koala I would get to hold, named Emily, was born and raised at the sanctuary and has interacted with humans her entire life. You should have seen the love the lady and Emily share. Those two are nearly inseparable, kissing and resting their heads on one another. In the below photo, it may look like I'm "holding" Emily. In fact, I'm standing very still with my hands in a certain position, letting Emily hang on and interact with me rather than the other way around. At one point, Emily stared me in the face and pressed her nose on mine. I just about died. I felt good about the experience and that Emily looked and felt quite content, curious even! I wouldn't have done this just anywhere, and I sure would never hold a wild koala. The reason why I'm telling you all of this is because I care and love all animals and never want to promote their exploitation but rather conservation. Please before you decide to interact with any animals in any country, do your research beforehand. If you’re anything like me, then as soon as you learn about a small town called Nimbin, you’ll need to visit. Before the late 1960s, Nimbin was home to cattle farming, but after the recession this all changed. In desperate need to bring income into this area, the people of this town threw an event called the Aquarius Festival (think Australian Woodstock). The festival brought in between 5000-10,000 hippies who loved it so much that they decided to stay, buy land and start communes. This is the Nimbin that we know today. A colourful community made up of creative, free spirited individuals. Yes, it’s just as cool as it sounds. You can’t go to Australia and not go on a hike, especially when there’s a chance to see wild koalas. With fewer than 40,000 koalas left in the wild, your chances of seeing one isn't as common as you'd think. However, if you're lucky enough to see a koala, it's a very special experience. Australia's also home to some of the most unique wildlife and fauna that don’t exist anywhere else in the world. 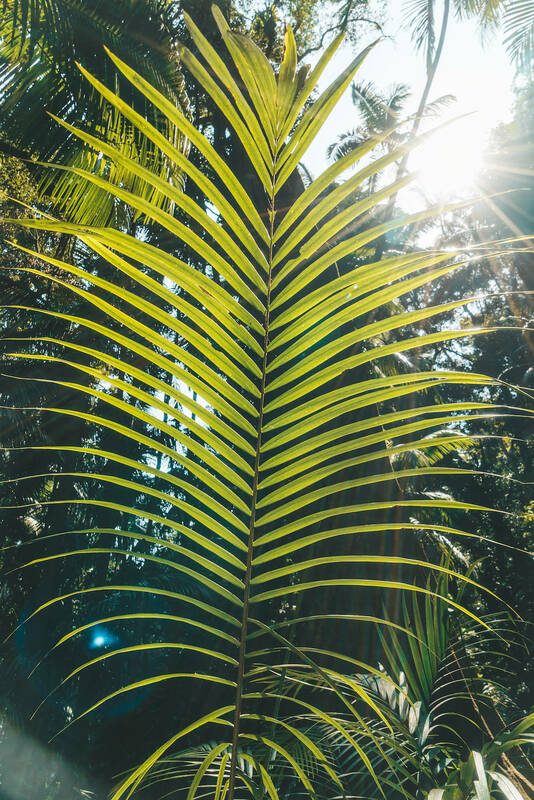 As a nature buff, I was amazed to learn about all of the new plants and insects I had never heard of before. Keep in mind that a lot can also harm and kill you in the country, so going on a guided trek with a local is highly recommended. Even what doesn’t look harmful can be. For example, while hiking to Curtis Falls, we saw this plant called the Dendrocnide Moroides or stinging tree that looks like a normal green plant. Don't be fooled because this plant is anything but friendly. 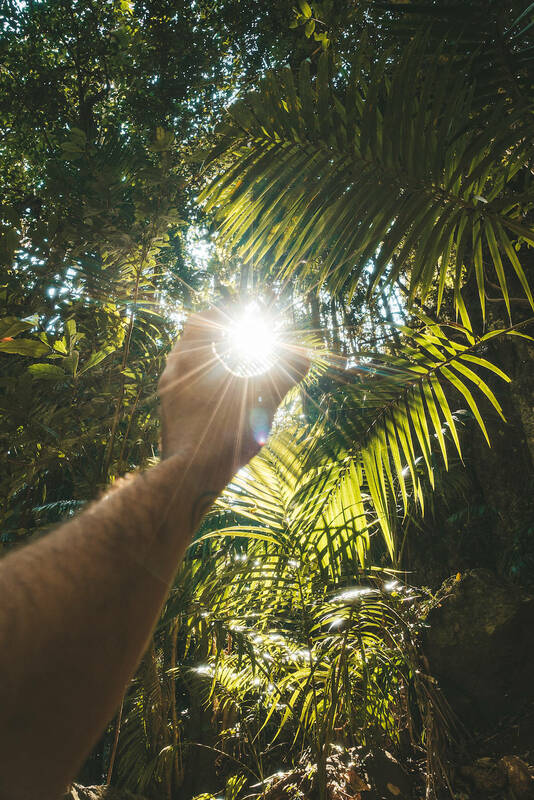 If you just as much as touch the leaf with the tip of your finger, you can look forward to spending the next few months and even year in excruciating pain. Our guide told us that he’s seen grown men cry from how much pain it has caused them. This isn't meant to scare you, but instead make you more aware of where you step and what you touch. 1. Be me and simply stand and gawk. 2. Be like Siya and hit the waves yourself. There are several surfing schools in this area to either take a lesson or rent a board from. The company that Siya took a lesson from wasn’t a favourite so we wouldn’t recommend them, but I’ve heard from others that Go Ride a Wave is a good option. Riding jet skiis on the Gold Coast easily makes the top of the list for the most fun I’ve had. We went on the two and a half hour excursion with Jet Ski Safaris. Two hours were spent on the water and the other thirty minutes were spent drinking Piña Coladas (we were responsibly and only drank one) on a tiny island. There were times that I felt a bit nervous, but then I’d pull on the throttle, hit a high speed of 60km and feel the adrenaline course through my body. The experience left me feeling re-energized and inspired even. I felt more alive than I’ve felt in a while. I always thought the idea of throwing a boomerang and it coming back only happened in cartoons. Wrong I was. If you're good at throwing one, it will indeed come back. 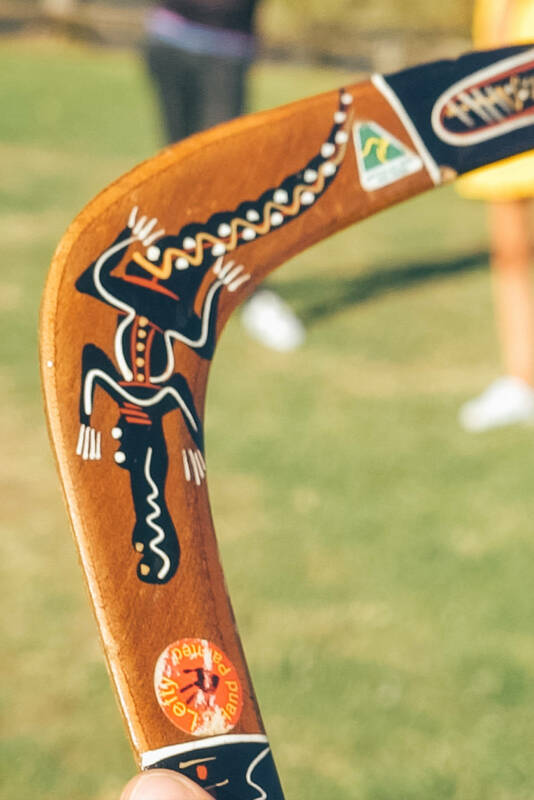 The boomerang originated in Australia and has been used for a recorded 20,000 years by Indigenous Australians for hunting, fighting and ceremonial purposes. I gave a go at throwing one and low and behold... it didn’t come back to me. I guess, I need some extra practice. 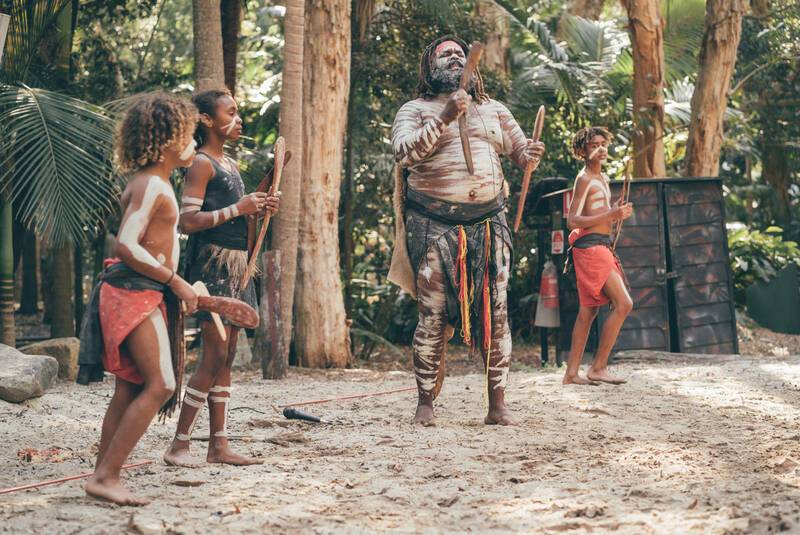 Music, song, ceremony, performance and dance was and is still a very important part of Australian Aboriginal life and customs. While visiting Currumbin Wildlife Sanctuary, we got a taste of a dance performance which was quite beautiful. 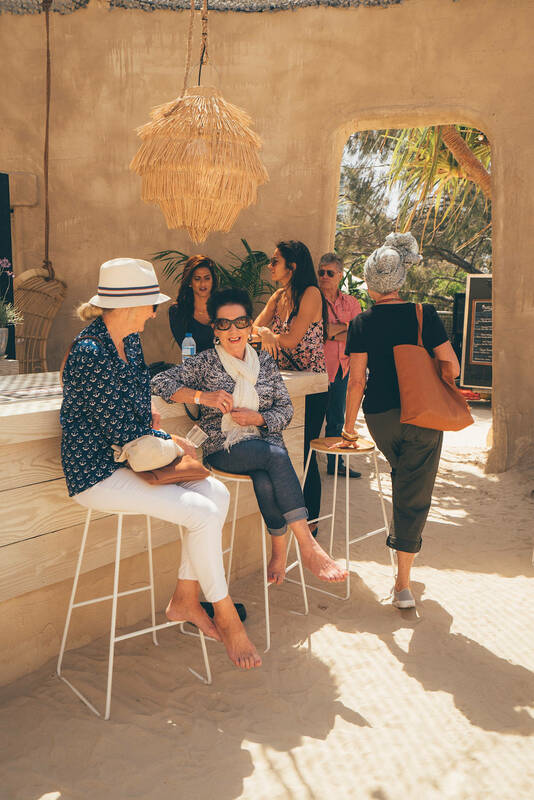 Although there are several other places around the Gold Coast to enjoy a cultural performance, it was nice to be able to experience so much at one location. This is especially true when you only a have a couple of weeks on the coast. If you’ve never been ziplining before, you’ll especially enjoy the experience at Thunderbird Park. 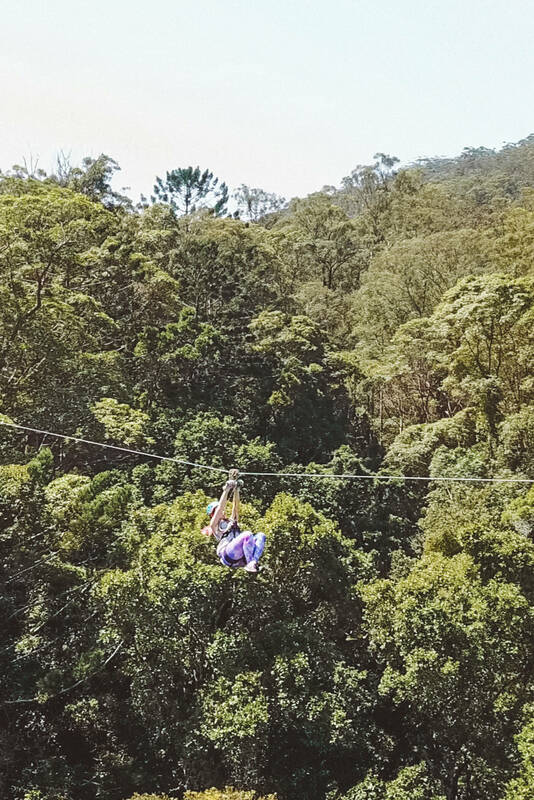 The Canyon flyer is the most extreme adventure attraction on the Gold Coast and is one of Australia's largest guided Zipline Canopy Tours. The seven zipline course expands 1.5km and gets as high as 60 metres. Although the first zipline is the longest, I enjoyed the last one the most. You'll have to try it yourself to find out why. Before I left for Australia, my travelling friends preached how incredible the coffee is. While I try to avoid having any expectations of a country, as a coffee-o-holic, this kind of information could not be ignored. My expectations were set high, and I've got to tell you, Australia did not disappoint. From one coffee snob to another, Australia wins for one of my top choices for the best brew! Some of my favourite cafes around the Gold Coast include: Lot 1 Coffee and Paradox Coffee Roasters. 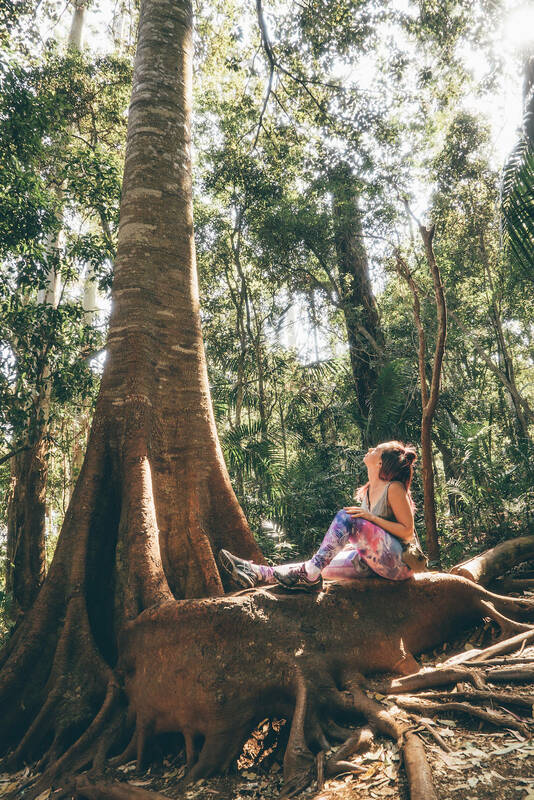 What activity are you most excited to try on the Gold Coast? A special thanks to Hostelworld for sponsoring this trip. As always all opinions are my own. WOW! Cannot take my eyes off those pictures! Australia is still on my bucket list. I want to travel australia. But i’m totally confused which things are best to do so, Then i saw your ideas regarding this. It seems interesting as well as excellent. Now i’m gonna apply your ideas. Hope it may help me too. Thanks for sharing wonderful ideas!!! Nice post. I really liked that Funky Hostel. Awesome pictures. Hopefully I will do surfing at these places soon. Thanks for sharing this. Good work. Keep it up. Ziplining and jet ski excursions look awesome! So much fun!